In as much as I candidly appreciate encomiums passed, the various descriptions of life and times by several people of Justice Idris Legbo Kutigi, who was laid to rest on Wednesday, October 24, 2018, I feel obliged to also give what I consider an insider account of this erudite jurist, who I simply describe as an epitome of judicial etiquette. I said an insider account because I have had the privilege of working as special assistant to the late revered jurist whilst he was the Chief Justice of Nigeria and for which I remain eternally grateful to God and the late Justice Idris Legbo Kutigi, because, but not for that, I wouldn’t have been where I am today with all sense of humility. Justice Kutigi as he then was, exuded tough, stern and firm looking posture, but behind this disposition was a man of huge sense of humour. This, one only gets to discover when you move and relate closely with him. His lordship even laughs and laughs hilariously to a point of inducting one to laugh too. You won’t believe it until one comes across him cracking jokes and teasing his own biological and non-biological children or close friends. He was unarguably one of the most detribalized jurists, a nationalist and patriot in every sense of the word. He related mostly with respect to the content of a person, he knew nothing with discrimination of whatever nature. 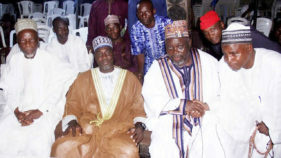 Generally, he liked to train and mentor legal minds irrespective of the person’s background, tribe or religion. This is just as he would want to inculcate attitude or culture of hard work, diligence or meticulousness in his lieutenants, children and people around him. He would not leave for home until he finished all his work for the day, as it was not in his character to leave anything that ought to be done pending. Hence, while working with or for him, one needed to be conscious of choice of words to apply, dot your ‘i’s and cross your ‘t’s. Upon all, he was exceedingly a role model, a big team player, always wanting to carry everyone along. That was why he never had an axe to grind or been in rancor with any of his brother justice or justices at the Supreme Court bench. 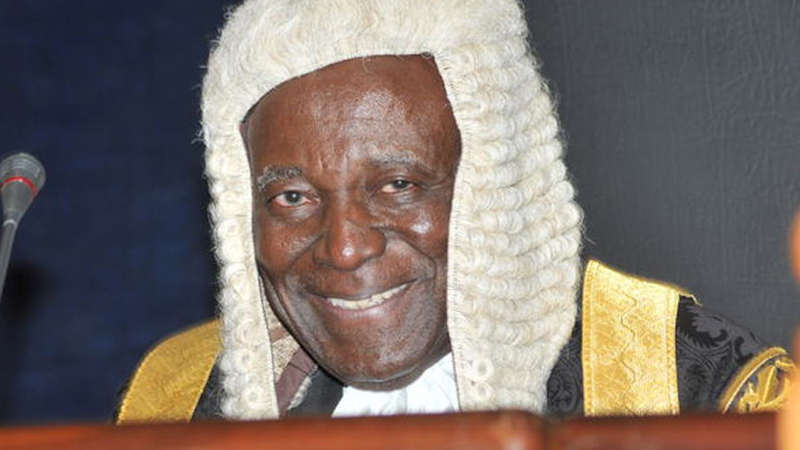 Justice Kutigi introduced a number of judicial reforms on becoming the Chief Justice of Nigeria. It was he, who amended the 1979 Fundamental Human Enforcement Procedure Rules that later became the Fundamental Rights (Enforcement Procedure) Rules 2009. This is largely known in the legal parlance as ‘Kutigi Revolution’. He amended and signed it into force on November 11, 2009 and immediately made it effective from December 1, 2009. The enactment which he did pursuant to Section 46(3) of the 1999 Constitution (as amended) was a bold and radical step to tackle Human Rights abuses by deepening and strengthening canons of democratic practice in the country. The Rule was an improvement on what was obtainable under the Fundamental Rights (Enforcement Procedure) Rules 1979, which was marred by defects such as locus standi and unacceptability of public interest litigation. Hitherto, the principal means for enforcing human rights were the prerogative writs of Habeas Corpus, Certiorari, Mandamus and Prohibition. These were often found cumbersome, somewhat technical and lacking in the flexibility necessary for the proactive pursuit of human rights claims. The introduction of the 1979 FREP rules was aimed at bringing greater speed and dynamism to the enforcement of Fundamental rights in Nigeria. 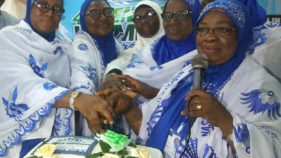 The FREP Rules 2009 was made in order to streamline and expedite the enforcement of fundamental rights in Nigeria and to provide solutions to myriads of problems associated with the Fundamental Rights (Enforcement Procedure) Rules, 1979, such as the necessity to obtain the leave of court by way of motion ex parte before the commencement of fundamental rights action. The FREP Rules 2009 also allows lawyers and litigants to file their brief even if the applicant is detained. In other words, it is not necessary that the applicant must be physically present before the Commissioner for Oaths to swear to his statement or affidavit. Before the 2009 Rules, the procedure for the enforcement of Fundamental Rights in the High Courts required bringing up the action within a specified period of time from the occurrence of the breach of such rights, but under the 2009 Rules, specifically, Order III, Rule I thereof, the limitation of the period of time has been done away with. Again, under Clause 3(f) of the Preamble to the 2009 FREP Rules, the court shall in a manner calculated to advance Nigerian democracy, good governance, human rights and culture, pursue the speedy and efficient enforcement and realization of human rights. Justice Kutigi’s legacy will live on, not only in the tremendous contributions he made to national development but also in the FREP Rules. No narrative of the struggle for judicial activism in the protection of constitutional rights can be authentic or complete without a mention of his prodigious contribution to it. The FREP Rules 2009 fundamentally changed the landscape of enforcing constitutional rights in Nigeria. It simplified fundamental rights litigation, made it speedier and created a separate, inexpensive filing-cost regime for human rights cases, thus ensuring that poverty s not a significant barrier to access to justice as far as human rights cases go. The Rules also direct courts to ensure that international norms of human rights are applied in the resolution of domestic human rights claims. Litigants can now file fundamental rights enforcement actions, irrespective of the amounts claimed, by paying fees that do not exceed about N1000 in total. I can recall that it was during his tenure in office as the Chief Justice of Nigeria and chairman of the National Judicial Council that the edifice that today stands as secretariat of the National Judicial Council was approved and constructed. Thus, repositioning the council for the task and challenges ahead, which are the hallmark of extraordinary vision and uncommon leadership quality of the late jurist. Justice Kutigi became the Chief Justice of Nigeria on January 18, 2007 and held sway till December 31, 2009, when he attained mandatory retirement age of 70 years and retired. One can say without fear of contradiction that that period has remained one of the most trying periods in the history of our judiciary. It was a period that the judiciary more than ever before, took steps to restore public confidence and the ultimate enthronement of the Rule of Law. It was a period the judiciary witnessed an unprecedented flow of cases that generated a lot of public interest, particularly election petition cases and a number of other equally sensitive constitutional matters. Of course, with the dint of hard work and sense of fairness, he was able to weather the storm and equally helped in restoring the public confidence in the Judiciary, alongside other justices of the Supreme Court. It seemed that at every turn in his life, by providence, he faced a daunting task that ordinarily would have swept some people out of way. The way he was able to tackle such has relatively distinguished him as an outstanding judiciary administrator. He has to his credit, the first and so far, the only CJN who has the rare privilege of swearing in his successor in office as he was retiring on December 30, 2009, in the person of Justice Aloysius Iyorgyer Katsina-Alu of blessed memory. Conventionally, the President and Commander-in-Chief of the Armed Forces of the Federal Republic of Nigeria swears in the Chief Justice but President Umaru Musa Yar’Adua was not available on this occasion due to ill health. In view of the controversy that trailed his action of swearing in his successor, Justice Kutigi justified his initiative or deed as follows. “For the first time in the history of this country, the Chief Justice of Nigeria has sworn-in the in-coming CJN. It is the first time (clapping). That it is the first time is not the fault of anybody. This is because the law has always been there. The swearing-in of the CJN is either done by Mr. President or the outgoing or retiring Chief Justice. Now, the occasion arises to perform the function which I have just done. I am aware that this has generated a lot of commentaries and controversies from people who were supposed to know. “The law is there. There is nothing new. If you look at the Oath Act 2004, you will see the provision there where the CJN, justices of the Supreme Court, President of the Court of Appeal and the justices of the Court of Appeal, among others, are all listed in a column, all of them, according to the Act, are to be sworn in by the President or the Chief Justice of Nigeria. “The provision is there and it has always been there. That the outgoing CJN has never done it does not make it wrong. The law is clear. If you also look at the 1999 Constitution, it also makes it clear that the person who has the responsibility of swearing-in the new CJN is the Chief Justice of Nigeria. What I am saying is that there is nothing new about it. The law is there but for the first time, we are just using it today. And let me say that I will be attaining the age of 70, Insa Allahu, by midnight today”, he stated. 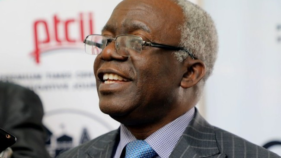 Barely five years after he left the Supreme Court Bench, Justice Kutigi resurfaced in the public domain as ex-President Goodluck Jonathan appointed him chairman of the Constitutional Conference in 2014. On August 21, 2014, Justice Kutigi noted in his speech while submitting 2014 National Conference Report to ex-President Jonathan: “When 494 Nigerians are assembled to address the fears, disappointments, aspirations and hopes which have accumulated over 100 years, it is only to be expected that the debates would be robust; and indeed, the debates were robust. It was only to be expected that tempers would fly; and tempers did fly. We did not try to ignore or bury our differences. We addressed these differences while respecting the dignity of those holding these differences and sought to construct solutions which would become building blocks for a just and stable nation’’, Justice Kutigi stated. In the valedictory speech he delivered on January 20, 2010, Justice Kutigi said it all: “It has always been my prayer since l assumed the office of the Chief Justice of Nigeria that I should leave behind, a Judiciary better than the one I met. I thank Almighty Allah for our modest contributions. I am positive that the Judiciary of this great country is one and would remain one of the best judiciaries in the world. “I cannot end this address without expressing my gratitude to my brother Justices of the Supreme Court for their support, cooperation and understanding during the period I worked with them. Adieu Baba! May Allah have mercy on your soul and grant you eternal rest in Al-Janat Firdaus. Saleh is the current Executive Secretary of the National Judicial Council.